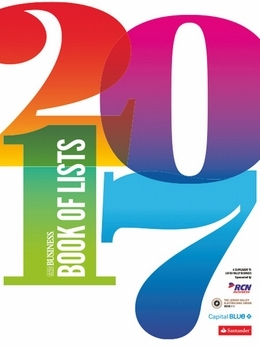 EthoSource is proud to announce that we are ranked #1 on the Office Furniture Companies list in the Lehigh Valley Business Journal’s 2017 Book of Lists! EthoSource has been growing significantly in size and capabilities every single year since it was founded in 2001. Two of our three company-wide showrooms are in the local Lehigh Valley area, which allows us to properly accommodate our various customers and provide more opportunities for them to explore our inventory of new, used and refurbished office furniture, while establishing close working relationships with our professional designers and project management team. EthoSource has helped a number of businesses in Carbon, Northamption, Berks, Schuykill and more design and custom build the workplace that matches their company culture and work style. Along with the brand new & modern furniture lines we offer, we have the ability to customize everything from Ethospace cubicle layouts and panels to storage, filing, work surfaces and more, all in-house, making us incredibly efficient. We also have our own delivery and installation team, so your product can arrive and get installed quickly within your desired time frame. Come see us in Morgantown or Reading, PA to check out our expansive selection of high-end office furniture, or contact us to learn more about how we can help your Lehigh Valley Business create the office environment you need and love to start 2017 on the right foot. What Makes a Great Break Room?